The Philippine Atmospheric Geophysical and Astronomical Services Administration (Pagasa) has advised that the following municipalities would “possibly receive more than 100 mm of rainfall within 24 hours per day from October 17 to 20. Pagasa said 100mm of rainfall in certain areas may cause landslides in landslide-prone areas. 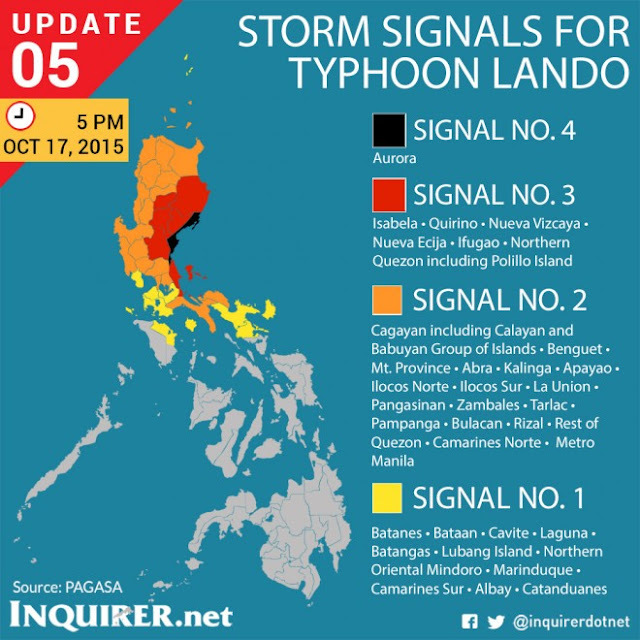 Here is the complete list of areas that would experience intense to heavy rains due to Typhoon Lando.